Philip Hallinger is recognized internationally as an innovator in leadership development. A prolific author, trainer and consultant, he has lived in Asia for the past 25 years and works extensively with both private and public sector organizations. Philip Hallinger is an internationally recognized scholar in educational leadership and change. He is acknowledged as an innovation leader in the areas of instructional leadership, educational change, leadership development, and school improvement. He authored the Principal Instructional Leadership Rating Scale (PIMRS), the most widely used survey instrument in the world for measuring instructional leadership. Online since 1995, this website offers access to resources for developing the capacity of leaders in the public and private sectors with a particular focus on leading change in Asia. Resources include information about problem-based leadership development, updates on the PIMRS instrument authored by Professor Hallinger, his publications and presentation, and support for classes in leadership and organizational change. Also highlighted on this site is a series of computer simulations — Making Change Happen, Systems Thinking/Systems Changing, and Improving Student Success. These problem-based computer simulations have been used with thousands of prospective and practicing leaders in the public and private sectors throughout the world. They have been also been adapted and translated for use in several Asian countries. 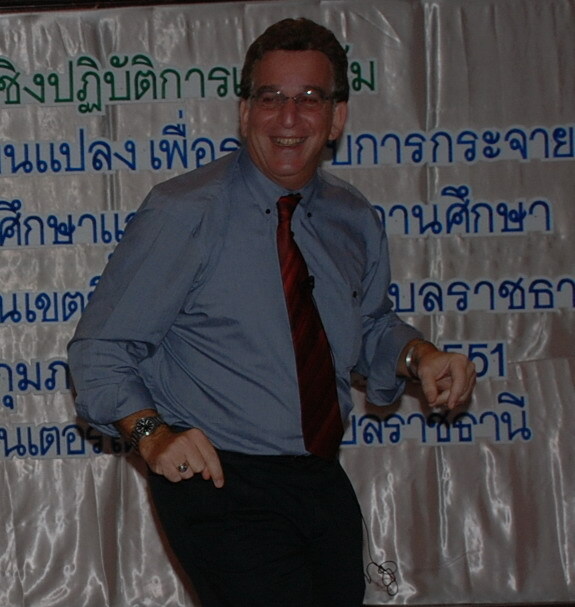 Professor Hallinger lives in the USA and Thailand and can be contacted by email at hallinger@gmail.com.